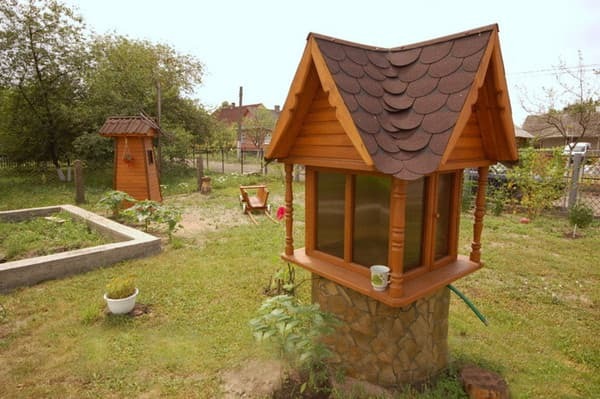 Private estate "Lugova" is located in with. Svityaz, at a distance of 2.7 km from the lake. Svityaz. 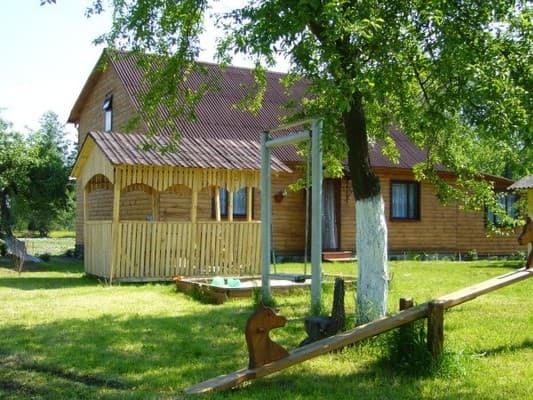 The estate "Lugova" offers vacationers two-three-bed rooms and separate triple wooden houses. 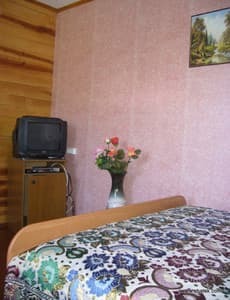 The private estate "Lugova" offers guests rooms: "Economy" - in each room a refrigerator, a common hot shower, each room has a kitchen; "Standard" - two and three-bed rooms in a wooden house, each room has a TV, hot shower and toilet for 2 rooms, a kitchen with all conveniences for cooking. 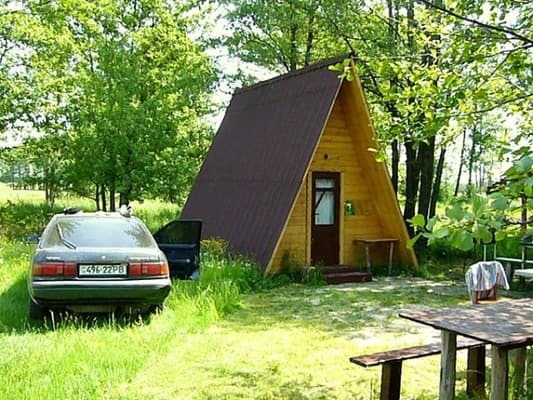 Also at the disposal of holidaymakers there are: gazebos, parking in the territory, brazier, playground. For an additional fee, we offer firewood and hire boats. 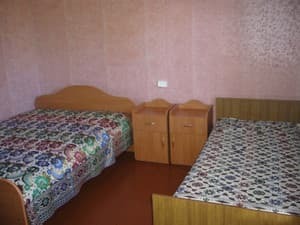 Description of the room: The room is equipped with all necessary furniture, a common hot shower, each room has a kitchen. 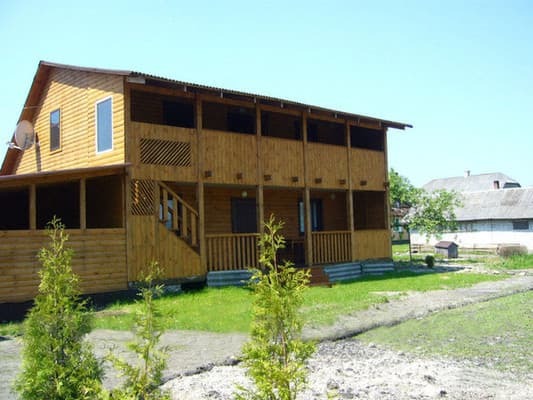 Description of the room: The room is located in a wooden house, equipped with all necessary furniture, a hot shower and toilet for 2 rooms, a kitchen with all conveniences for cooking. 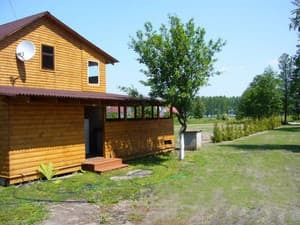 Description of the room: The room is located in a wooden house, equipped with all necessary furniture, a kitchen with all conveniences for cooking. On the possibility of providing additional space to specify when booking. For an additional fee - meals are on order. There is an equipped kitchen for self cooking. Gulf of Luke - 0.6 km, Mel Fishermen - 2.1 km, Lake Chernoe - 2.6 km, Lake. Svityaz - 2.7 km, Gyroda tract - 2.7 km, Shatsky National Nature Park - 4.5 km, Forest - 4.9 km, Gulf of Buznia - 6.6 km, Lake Pulemetskoye - 11 km, Lake Pribich - 11 km. From Kiev to Svityaz, Shatsky Lakes. To Kovel by trains: Kiev-Kovel, Kiev-Warsaw, Kiev-Berlin, Kiev-Kovel-Lvov, Moscow-Kovel. Also there are direct minibuses from both railway stations from Kiev to Kovel. 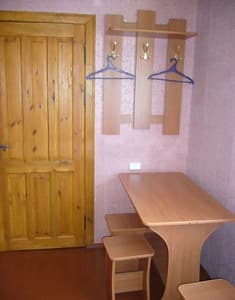 By bus Kiev-Shatsk (Zhitomir, Novograd-Volinsky, Korets, Rivne, Lutsk, Kovel - to Svityaz, Shatsky Lakes) From Odessa direction train: Odessa-Kovel, then get by bus to Lake Svityaz, Shatskikh lakes, From Crimean, Dnepropetrovsk directions - Train Simferopol-Kovel. From Kovel to Svityaz, Shatskih lakes go every half hour of the minibus. The railway and bus station are nearby. Also, after the arrival of the trains, direct shuttle buses to Svityaz are at the exit of the station, and if you want you can take a taxi. From Lvov to Svityaz, the Shatsk Lakes, you can get there by shuttle bus "Lviv-Brest", "Lviv - pension Shatskie lakes". 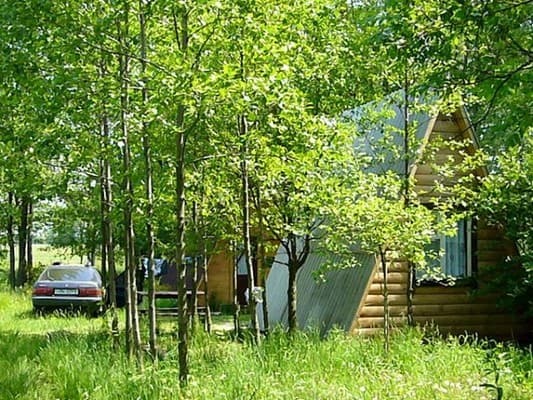 Also in summer there are three direct private minibuses from Lviv in the village. Svityaz.